Looking for unique and customised wedding favours for your special day? 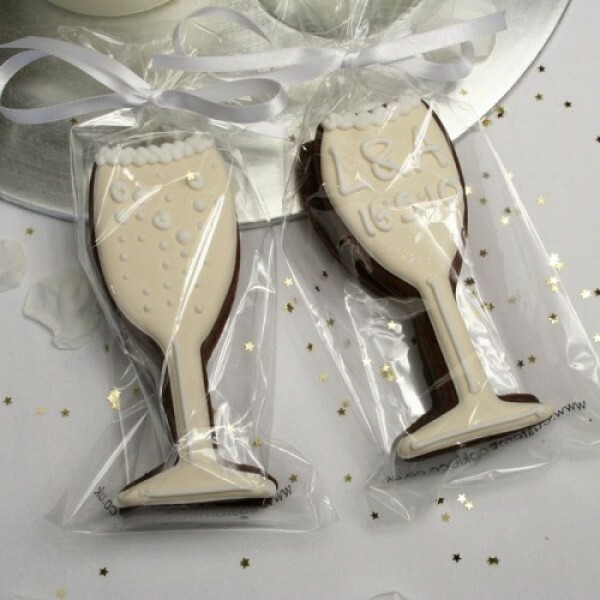 Our Champagne Glass Cookie Favours will look stunning when placed delicately on the tables at your wedding. Choose your cookie’s flavour, personalise your message and select a ribbon colour. We’ll hand bake and decorate each cookie before delivering them right to your door.